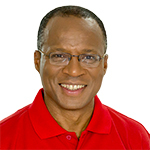 José Ulisses Correia e Silva became head of the government of Cabo Verde in April 2016 following his party's victory in parliamentary elections held on 20 March 2016. Under his leadership, the Movement for Democracy (MpD) won an absolute majority of seats in legislature, taking control of the National Assembly after 15 years in opposition. The victory ends political cohabitation in the country and consolidates power in the MpD, whose candidate, Jorge Carlos Fonseca, won the 2011 presidential election, defeating the candidate of the then ruling African Party for the Independence of Guinea and Cape Verde (PAIGC). Before his election as prime minister, José Ulisses Correia e Silva was mayor of the capital city, Praia. He served as state secretary of finance from 1995 to 1998 and was minister of finance from 1999 to 2000. He was elected head of the MpD in 2013. An economist with extensive experience in the banking sector, Correia e Silva may have to call on this professional background to address the challenges facing his country, which include high unemployment and mounting public debt. Following the election, Correia e Silva acknowledged there is much work to be done to meet the expectations of Cabo Verdean voters. "We need a country with stronger economic growth to solve the unemployment problem and reduce poverty," he said.